Aboutus-The concept of Indianconnection.com.au was developed by its Founder following his struggle to find genuine support when he arrived in Sydney from Chandigarh as a student in year 2002. Our Founder found that his biggest struggle was to find cheap accommodation and a job in Sydney. Not even that his initial student visa was refused on financial grounds. The passion of settling in Australia for better lifestyle made our Founder appeal Australian Embassy in New Delhi. Finally in Feb 2002 Our Founder landed to Sydney. He learnt the hard way! Indianconnection.com.au is for Indian who are coming to Australia or are already in Australia.The Vision of Indianconnection.com.au is to develop a sense of online collaboration where we help each other as ‘One Indian Community & Network’ in Australia. Over the years Indianconnection.com.au has assisted Indian who are coming to Australia or are already in Australia with the following services including accommodation,Job Consultancy and relocation services. With over a decade of experience and a Network of Trusted Experts Indianconnection.com.au have increased its members base drastically and connect Indian community both in Australia and India who are interested in Migration to Australia,Study in Australia,Relocation to Australia,Forex exchange,cultural orientation,career development,job work visa in Australia,Business investment in Australia ,real estate and much more. Indianconnection.com.au is well connected through huge number of online readers, Facebook with almost 1,000+ likes and 1,000+ strong email members and our market share is continuously growing. Welcome to Indian Connection, we look forward to seeing you on the other side of the world! 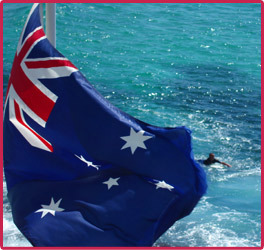 Contact us if you are an Indian Traveling to Australia for whatever reason or are already in Australia.